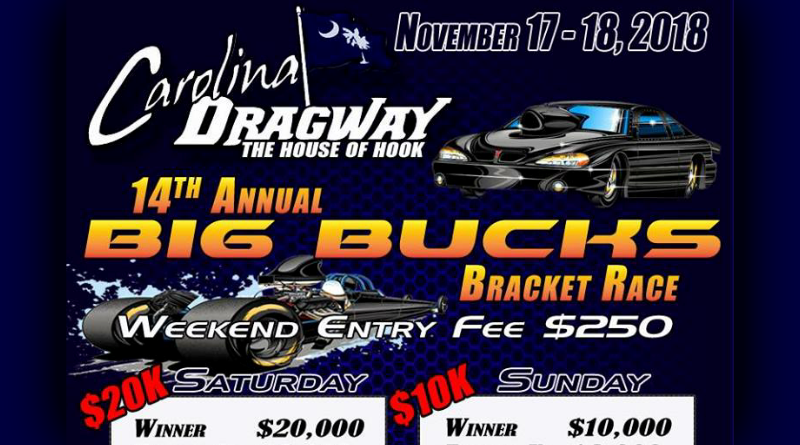 AIKEN, S.C. – The 14th Annual Big Bucks Bracket Race comes to Carolina Dragway November 17 & 18. The House of Hook will offer $20,000 to win on Saturday and $10,000 to win on Sunday. FTI Performance will sponsor at 32 Car Shootout on Saturday night. For more information see the event flyer posted below.